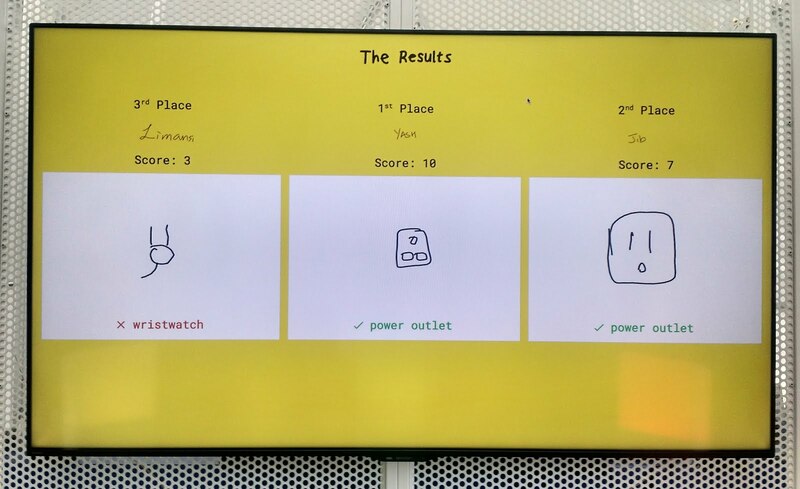 This year, I/O was all about AI on every Google product. A product mentioned at the Keynote was Google Lens which enables your smartphone to take pictures of an image like a flower and identify it. That's pretty helpful for a hobbyist gardener like me. Google's voice assistant is available on many devices now - not just on your Google Home & Pixel phones but on Android TV as well as iPhone. It's also available on more languages and has an Assistant SDK.You can build an app fairly quickly with Actions on Google and there is a challenge at g.co/ActionsChallenge. You could possible win a trip to I/O 2018 if you entered! Speaking of Assistant, the Android TV is getting an update which includes Google Assistant. I couldn't get a picture of it at the Sandbox demo but it has a brand new launcher. When you focus on a launcher card, it auto plays trailers or clips of the video you want to watch. Can't wait for the rollout! Android O will roll out on Android TV devices pretty soon. Google will soon roll out a standalone Daydream headset and has introduced Visual Positioning Service (VPS) which maps your indoors using Tango and Google Maps. One of the things I look forward to every year are Code Labs. This year, I couldn't make it to the labs but I'll be spending the next couple of weeks going through 2017's code labs. Instant apps is a feature that lets users preview your app before installing it. Android Studio now has instant app and feature modules that you can add to your app's project. Android O now has notifications channels that lets users access and control their app notifications. Notification Dots (tiny dots that you can control the color of) show up on the app when a user has unread notifications on it. Android Studio 3.0 Canary has so many goodies but some things that stood out to me on the new Android emulator were direct bug report filing, proxy support and Google Play Store. The Recycler View in Design Preview also shows your real data instead of the standard list of text view items. You can use the sample resource type to do this. I'm loving all the changes in Google Play. The recent change in the release management process was delightful since it has made moving an app from alpha to beta to production less scary than before. Google Play has also introduced an Android Vitals section that shows crash reports, ANR rate etc. There's also a new section for managing subscriptions. Last but not least, Kotlin is now officially supported by Google as a first class Android language! 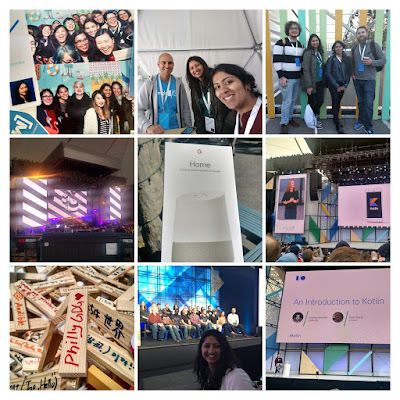 How can I talk about Google I/O without talking about the wonderful Google/Android communities? I attended the Women Techmakers dinner on Night 0. I dropped by a design review session and discussed how to improve the apps I work on with Nick Butcher. I spent an hour with folks from the Play Commerce team discussing Google's in-app billing library and Play Developer API about which I had given talks a couple of years ago. It was cool to be part of an I/O where for the first time developers were given a stage to talk about learning and adopting Kotlin at your workplace. 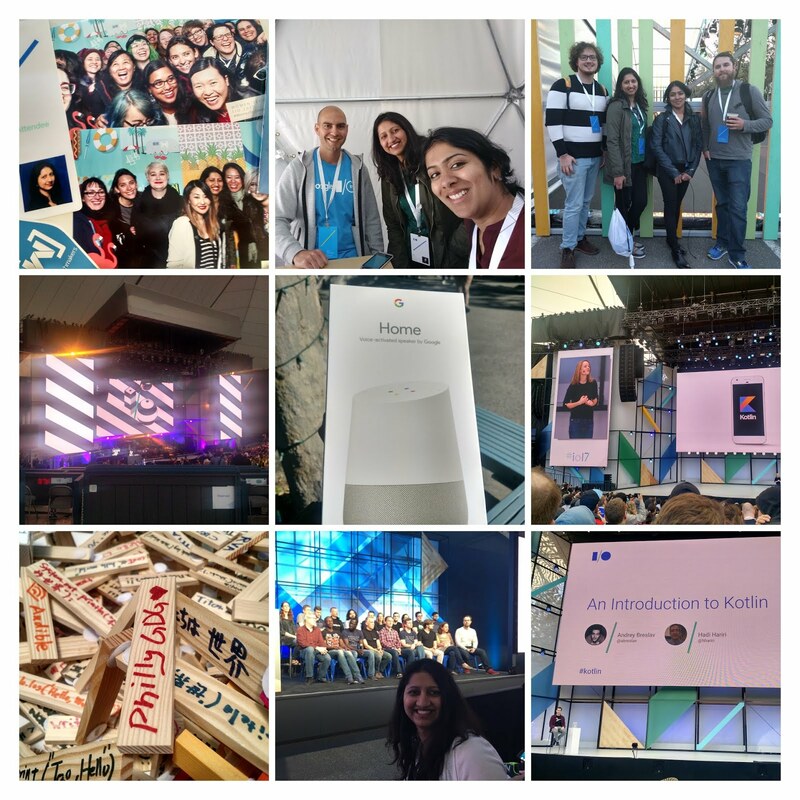 It was great to see attendees from all over the world, mingle with Googlers and have a front row seat to the Android Fireside chat. 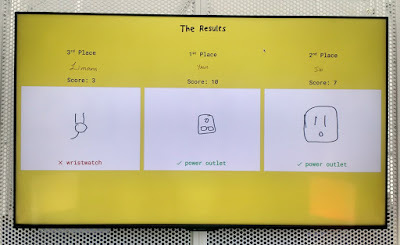 It was even more awesome to see Google listen to the developer community and support a new language and a new way of approaching Android architecture. I had a lovely time at I/O and I'm looking forward to trying out all the things I've learned this year. All Google I/O talks are now available at https://goo.gl/D0D4VE.